Hey guys. Just dropping a quick note to those of you who reached out to check in on me and my family over the past day. Atlanta was hit by a big ice and snow storm on Tuesday afternoon and, unfortunately, the city is a disaster as a result. For a multitude of reasons (but sadly including the actions... or lack thereof... of the state DOT and certain government offices), thousands of people were stranded in their cars on impassable roads for up to twenty-four hours. Young children spent the night stuck at schools or, even worse, in cars on the side of the road. Fortunately, my family got home safely early Tuesday afternoon and we've been happily snowed in since. Send up some prayers to all of those Atlantans who weren't so lucky! Thank you for your sweet thoughts and prayers! 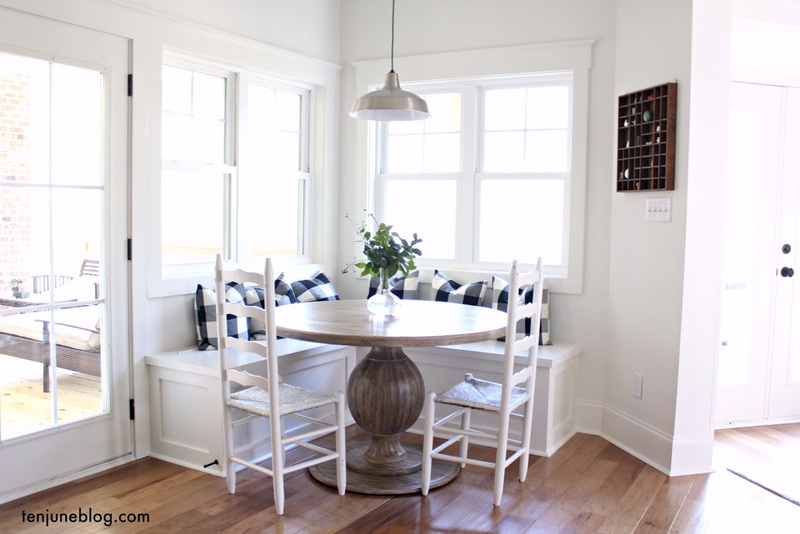 Today I'm sharing another peek at a decorated corner of my house. With a toddler in our family, it's hard for me to keep my coffee table styled. If I had a stack of books or a vase of flowers sitting on the tabletop, they'd certainly be knocked down in T-3 minutes. 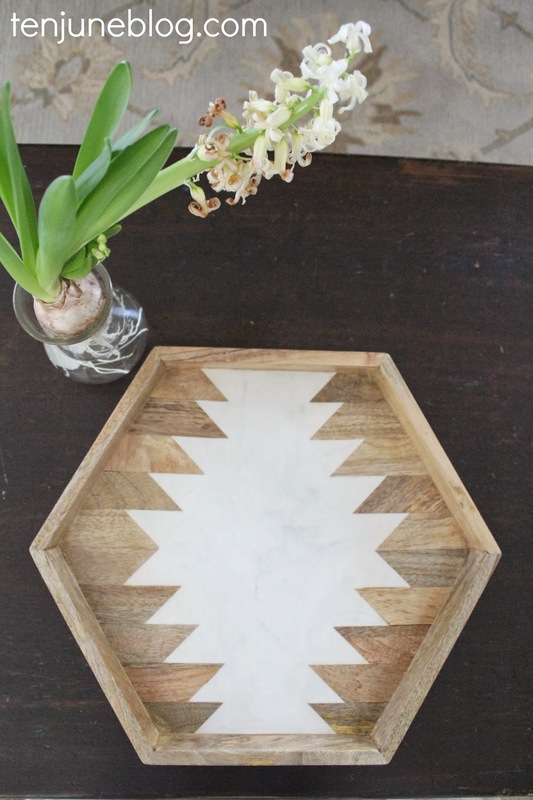 But recently, my friends over at Target sent me this fabulous wooden hexagon Nate Berkus tray. I mean, it is fab-u-lous. 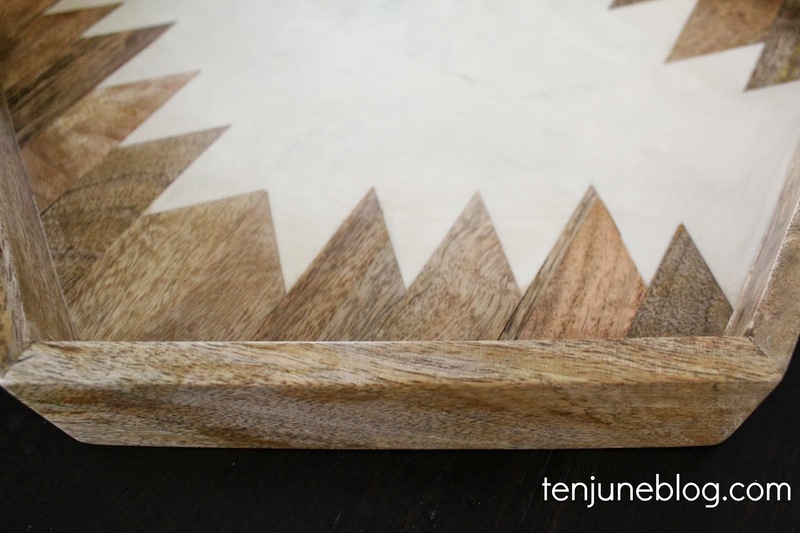 The shape, the textures, the inlay. It's like a $100+ tray at an amazeballs $35 Target price point. 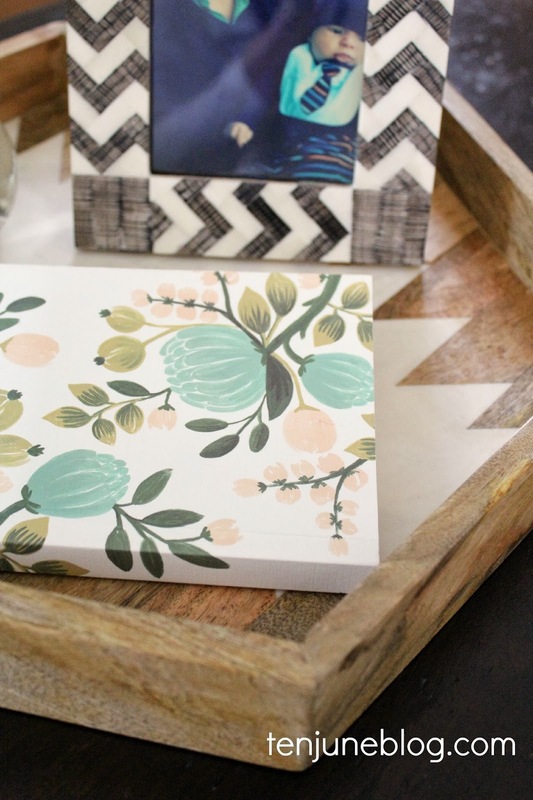 And here's the deal- this tray gives me a tiny space for a coffee table vignette! I can pile my cutesy items on the tray and simply scoop it up when HDawg enters the room. Love it. On the tray, I added a photo of David and H (frame from World Market), my Rifle Paper Co. journal (which was gifted to me from my sweet friend Tiffany!) 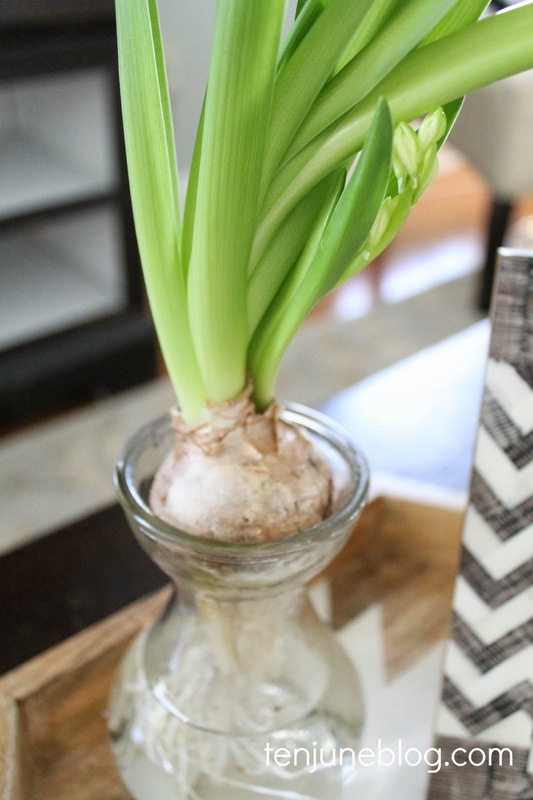 and a hyacinth bulb vase. 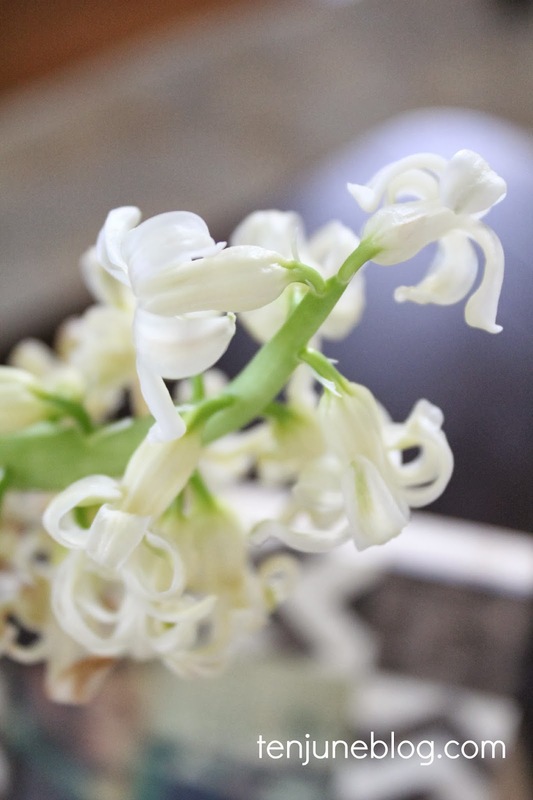 Seriously, I love that hyacinth. Such a cool little plant. Let's pray I don't kill it. So there you go! 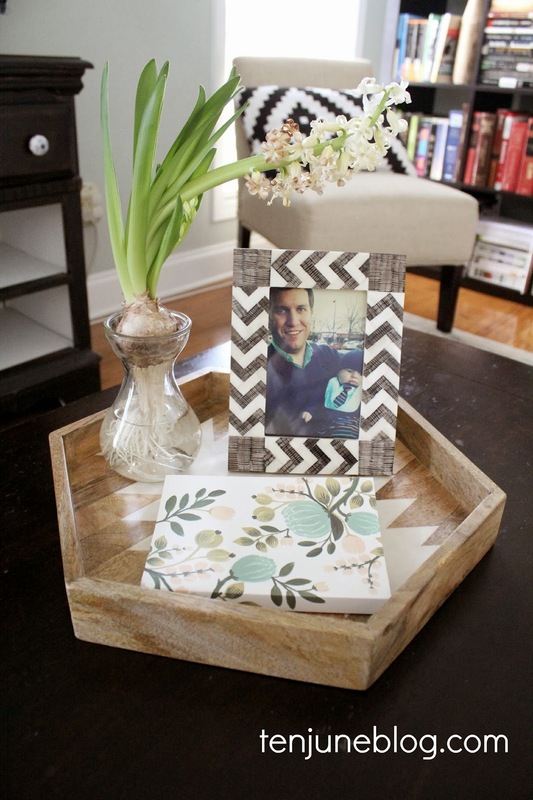 Any easy, breezy, toddler-proof coffee table vignette. oh that tray! i am in love! Glad to hear you and your family are ok! What crazy weather! We almost always get snow in New Jersey but this year has been ridiculous - and VERY cold! I LOVE that Target tray and your table looks great. I remember those days with toddlers in the house. Now my boys are bigger but I have a big, fluffy golden retriever tail knocking things over! Stay warm! So glad you guys are okay!! All of my family is in Atlanta (I grew up there! ), so I know the craziness that ice and snow can bring...but this seems to be the worst that I remember! Still cannot believe all the people who were stranded and sleeping in home depot, schools etc. Craziness. Now--that tray. LOVE it. And yes...crazy good price point! Glad to hear you were save and sound for the storm. I lucked out as I was at ADAC and when it started snowing I left....when I crossed over Piedmont Rd at 1:30 I could see all the traffic and was glad to be close to home! Love that tray....Target is just knocking it out of the park lately! Thanks for the tip. Keeping low decorations can be a challenge when you have a toddler. Nice post.